“Private Jet to Oktoberfest – Is it on Your Bucket List? If it’s October, maybe this is the year to check off Oktoberfest from you “bucket list”. The Oktoberfest is a beer festival that has taken place in Munich, Germany every October since the marriage of Prince Ludwig to Princess Therese of Saxony-Hildburghausen in 1810. Every year since, when the first beer barrel is tapped by the City’s mayor to the shout of “It’s tapped” or “O’zapft is!”, one of the greatest festivals in the world takes place. With over 6 million visitors (many of them arrive in charter jets from the other side of the globe), the festival’s popularity cannot be doubted, but the visitors do not only come because of the attraction of the 100s of beers available; there are many other reasons that make this the place to be in October every year. If you are unsure whether you should jet on over to the festival this year, here are a few things that will make visiting Oktoberfest a great option. Even if you don’t want to enjoy a glass or two of the beers on offer, that doesn’t mean that you will have to miss out on the fun. Anybody who has been on a holiday adventure and visited the festival will tell you about the unique atmosphere of the Oktoberfest, and how having the main events staged in a huge tent makes this a festival that is truly one of a kind. With traditional Bavarian music sounding out all around, and the serving staff dressed in traditional costumes, it is impossible not to get into the swing of things. 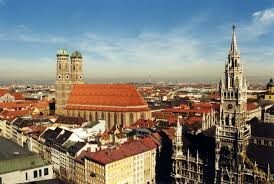 Getting to and from Munich is incredibly easy. 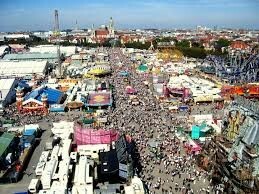 Munich’s airport is not only convenient for the festival; it is also a central hub for travel to and from Europe. Obviously, during the festival commercial flights will tend to be fully booked because of the influx of people, but a private charter flight is always an option, and will take less than ten hours, even if your charter jet is flying from one of the many airports in Chicago including Midway, O’Hare, Aurora or DuPage airport. A private charter jet from Chicago to the Oktoberfest in Munich is, in fact, the perfect way to travel to the city; after all, what better way is there to get yourself into the party and into the party spirit? You can forget the troubles of scheduled flights, and enjoy the benefits of the exclusive way to travel on the planet. You will pull up to the jet’s private hangar and jump straight onto the plane (no parking worries on this trip). Once inside, you will be able to relax in unrivaled luxury seating while chatting to your friends and some of the best airline staff available. Later, as you start your epic adventure, you can enjoy the food that you have pre-selected for the journey, while enjoying a fine wine or a glass of your favorite liqueur; all of this while enjoying any of the huge range of inflight entertainment options available. To really get the party started, you could even pre-order some Bavarian fare and swill it down with some classic German beer, which would be a perfect taster for the weekend ahead. If you are going to jet off to Munich; why not do it in the ultimate style and make it a charter jet. If you haven’t tried Bavarian food, you are in for a treat in Munich. Bavarian food is not subtle like many of the cuisines in nearby countries like France and Italy; instead it is full of flavor and guaranteed to fill you up. Eating one of the traditional sausages like the weisswurst (white sausage) served with sauerkraut (pickled cabbage) for breakfast will fill you up in the morning, and for lunch you could try some schweinshaxe (hogs Knuckle) served with a dumpling, followed by a slab of kuchen cake. These delicious dishes are the perfect complement to a great day at the Oktoberfest, but if you are unsure whether they are to your taste or not, those pre-ordered inflight meals on the jet will let you know before you arrive. You will probably not want to spend all your time at the festival (though you probably could), but luckily there are a lot of other things to see. Munich is one of the grand old cities of Germany, and is crammed full of beautiful Bavarian architecture, museums and galleries; and it is easy to see why so many people are drawn to this wonderful place to soak up its culture and history. Travelling on a charter jet will allow you to fly around the city to see the beautiful buildings below, while also taking in the breathtaking beauty of the nearby countryside and the incredible Isar River, with and its sparkling Alpine water. If you do go to the Oktoberfest, you are sure to have a great, fun time, but why not enhance the experience with a journey in a chartered jet; it will make it the holiday of a lifetime, and something else crossed off your bucket list. Contact the team at DuPage Aeropsace – Chicago Private Jet Charter to put yourself in Germany and at the original Oktoberfest. Reach us at 630-513-2222 anytime for your private travel consultation for the Oktoberfest.